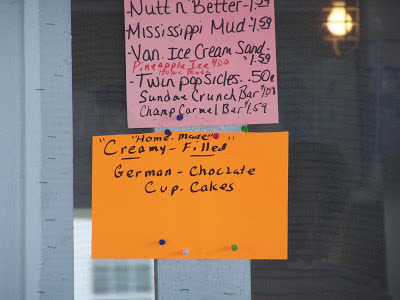 The “Blog” of “Unnecessary” Quotation Marks: "home-made" and "cream-filled"
This person's hyphen fixation seems more serious than the quotation marks, but these, uh, cup-cakes may or may not be filled with creamy substance, and who knows where they are made. Thanks Jesse. I love how they used the word "creamy" and then put it in quotations marks. What IS that filling made out of? I don't want to speculate where these cupcakes are made or how they are filled. 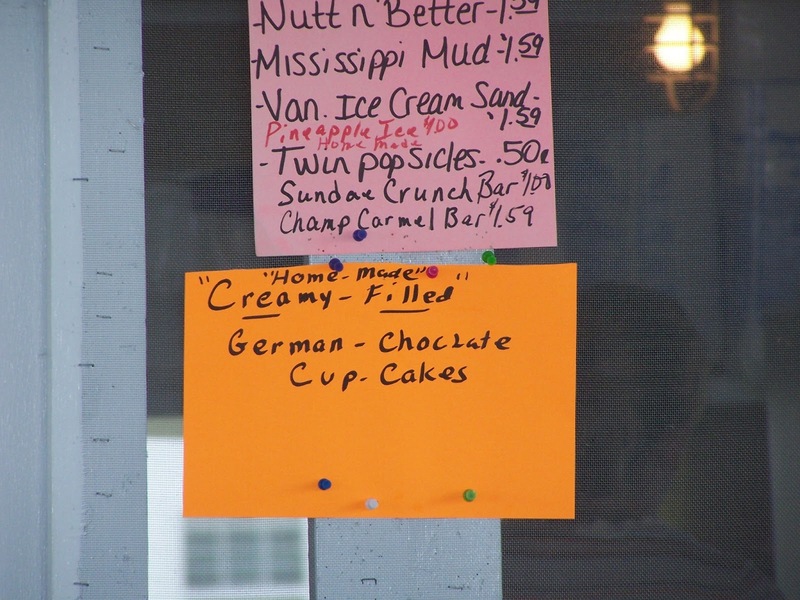 I'd suggest ordering the ice cream sandwich.